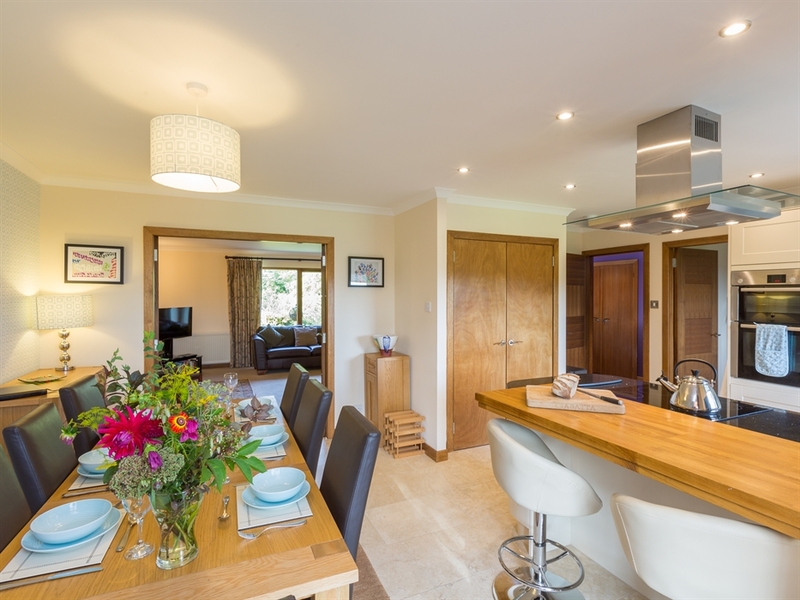 Larachmhor has been recently renovated to transform this bungalow into a stylish, colourful and extremely comfortable holiday house. 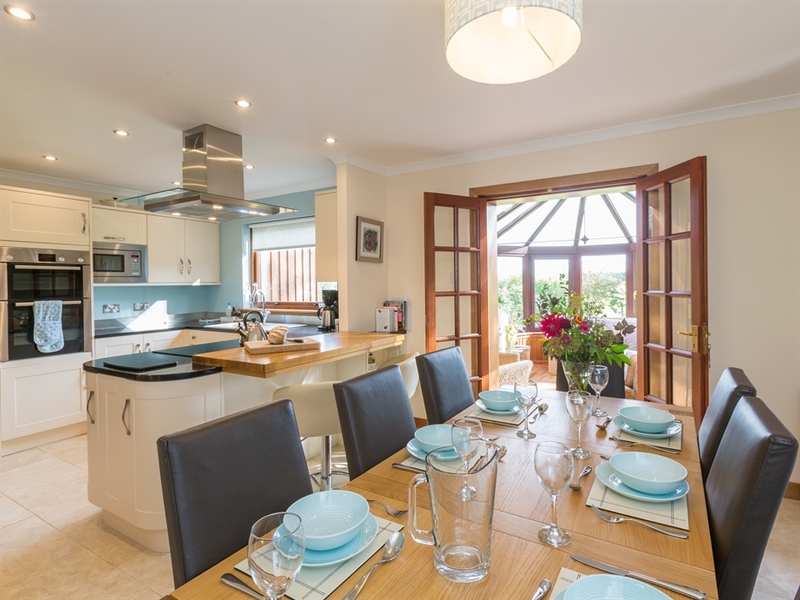 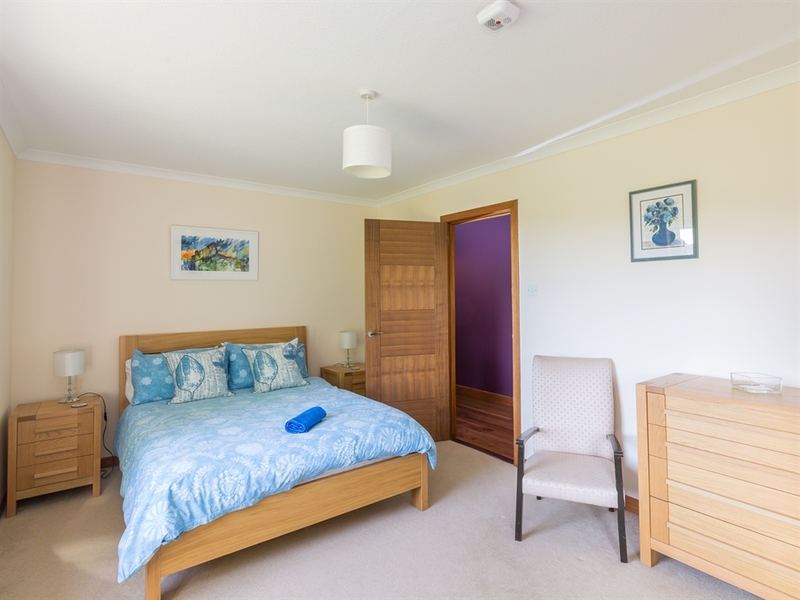 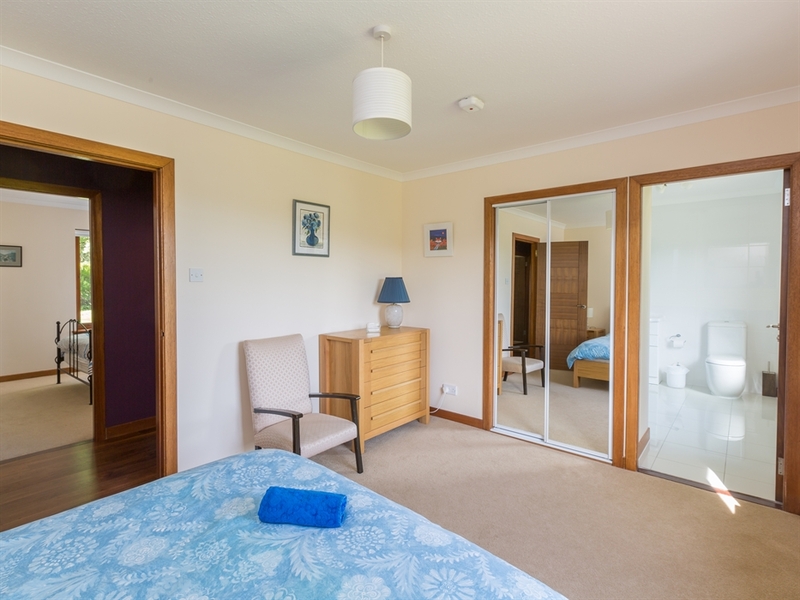 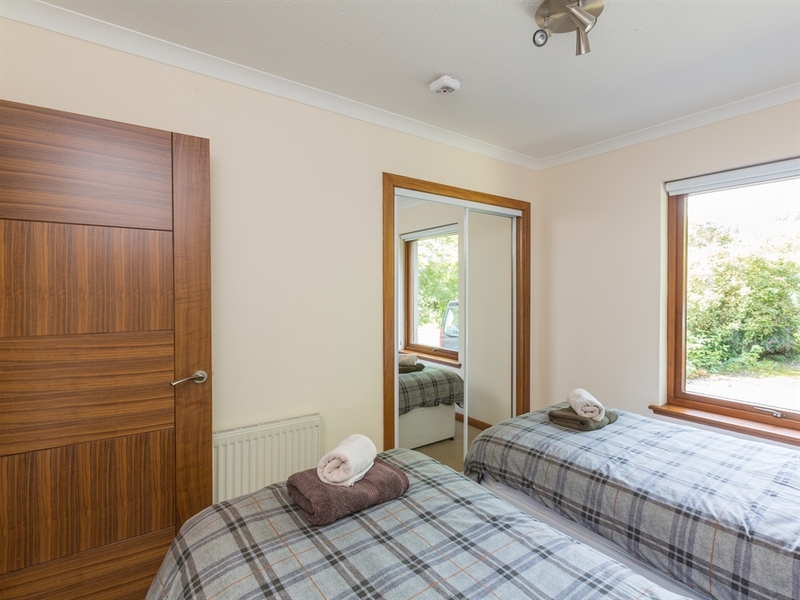 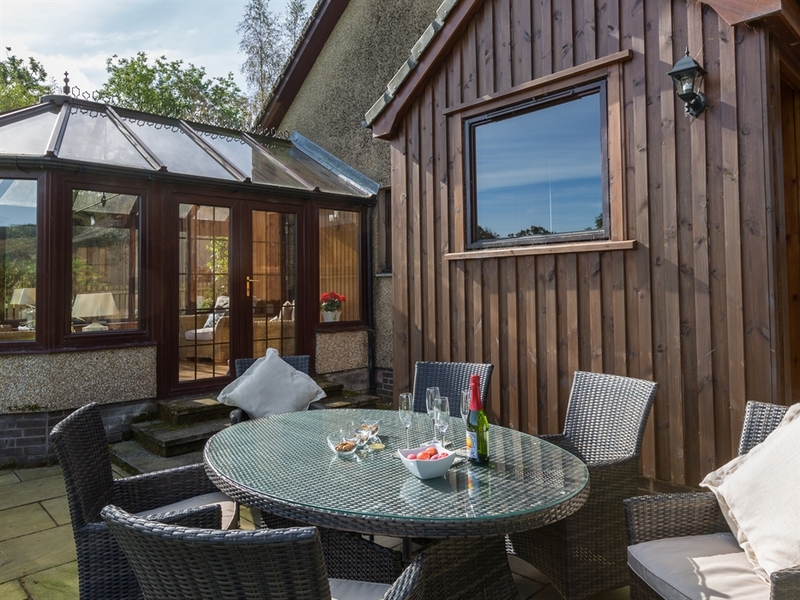 Larachmhor has recently undergone a complete renovation that has transformed this modest bungalow into a stylish and extremely comfortable holiday house. 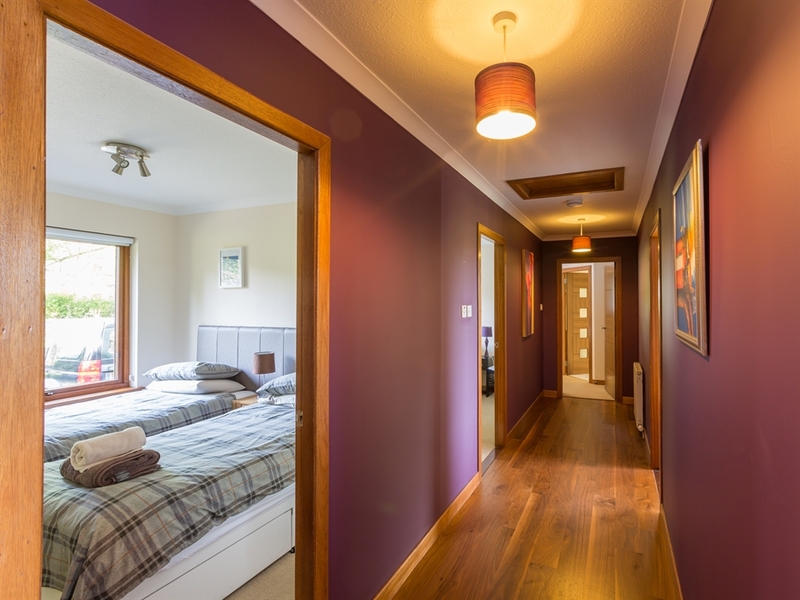 The design has focused on quality and colour making it a real surprise and pleasure when you enter. 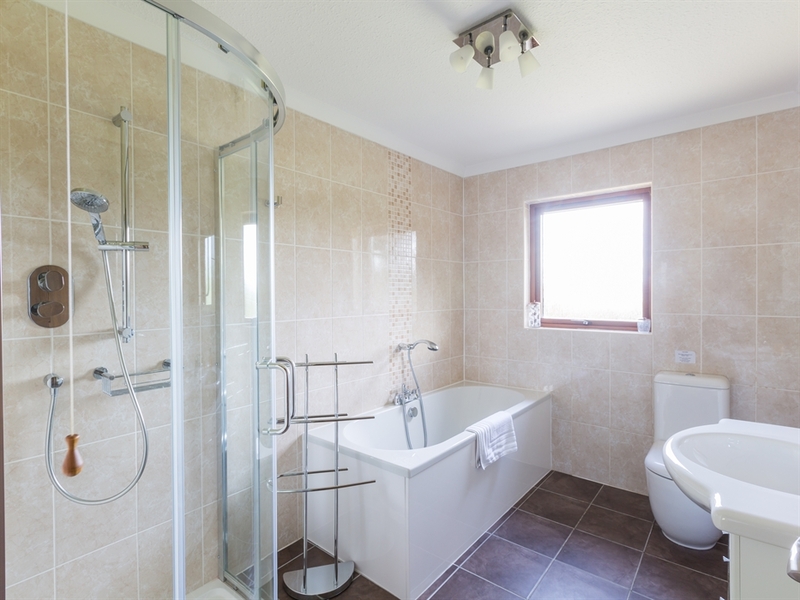 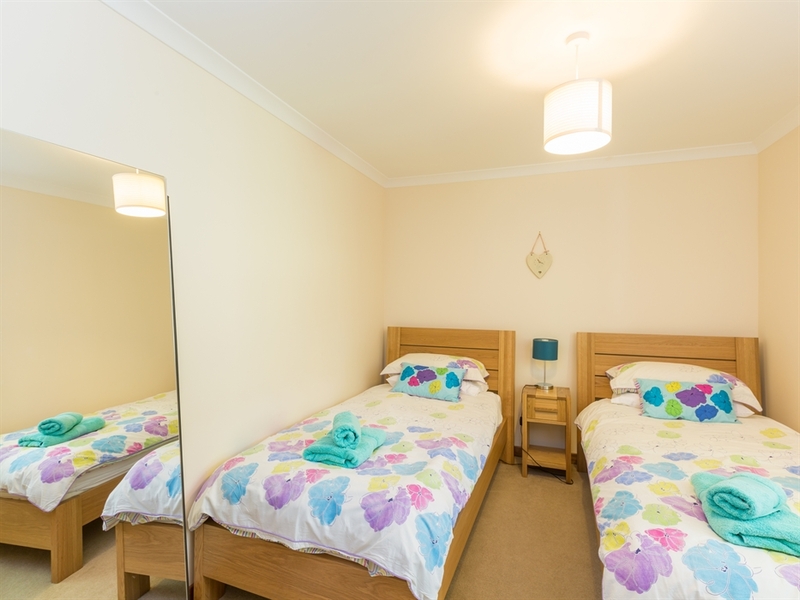 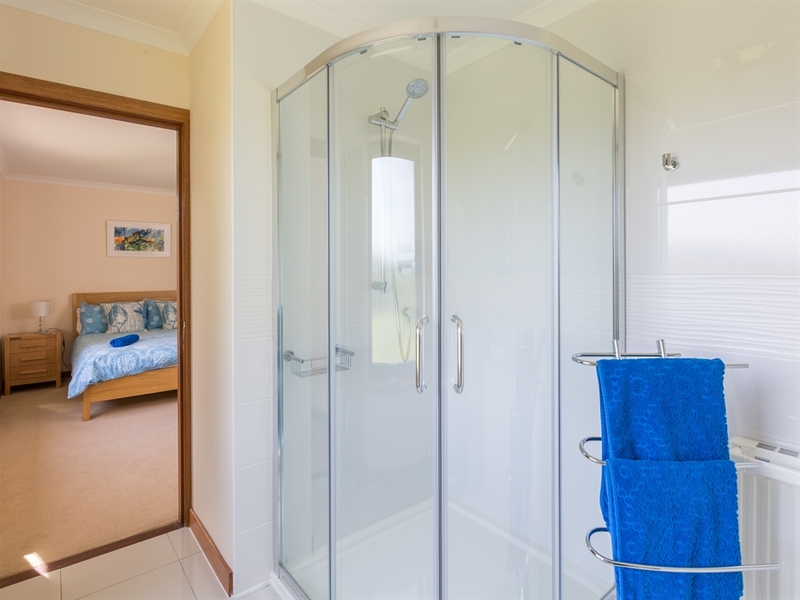 The bedrooms have an element of luxury and the new bathrooms are fresh and attractive. 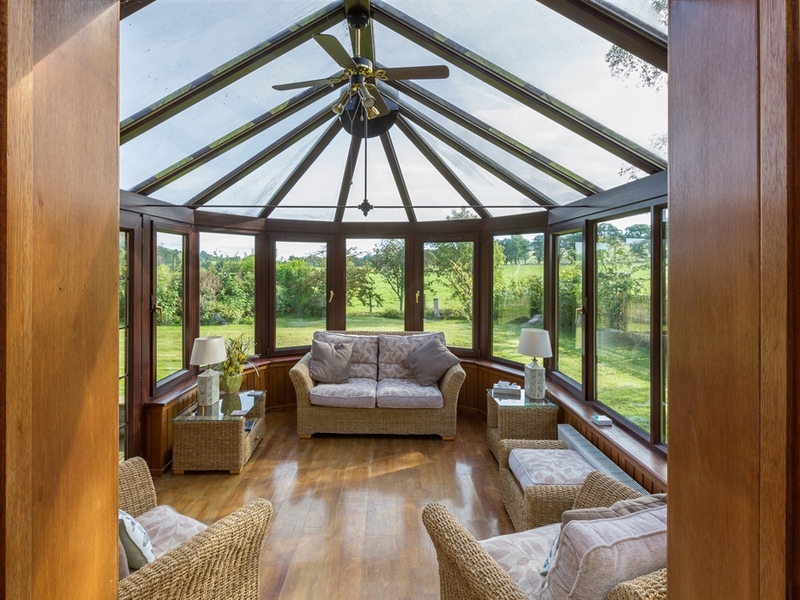 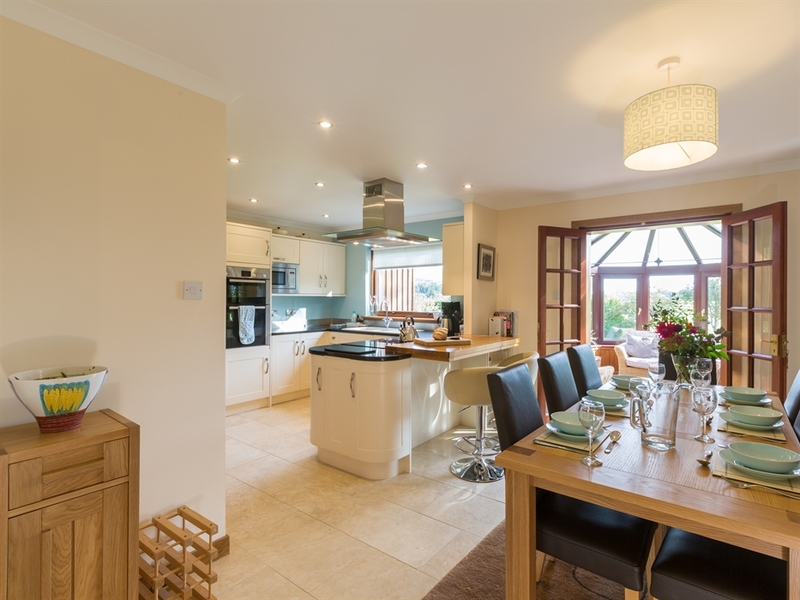 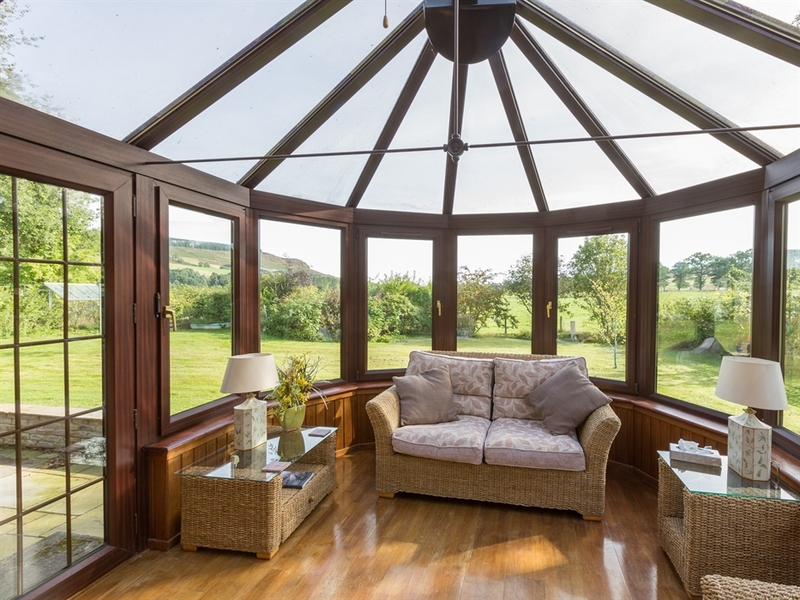 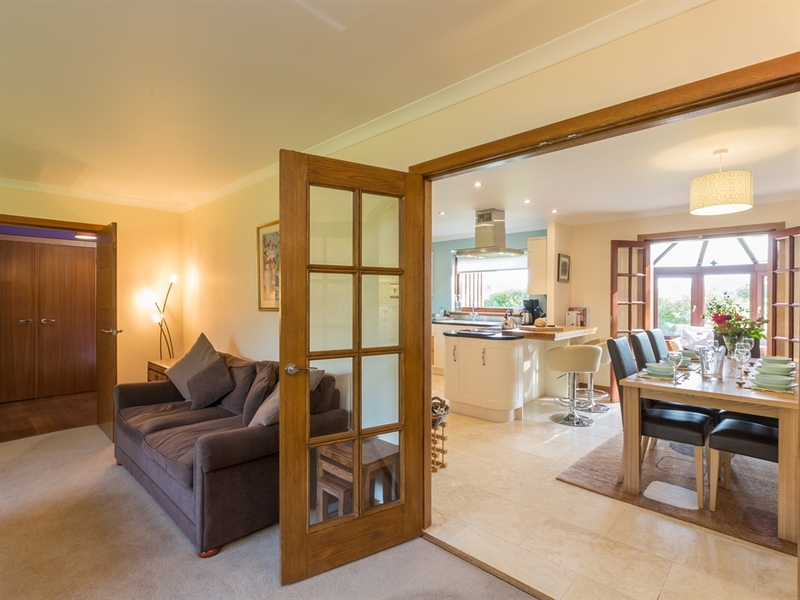 The open plan living area is where you will spend much of your time, with a wood burner in the sitting room for cooler days and a delightful conservatory looking towards the field and hills. 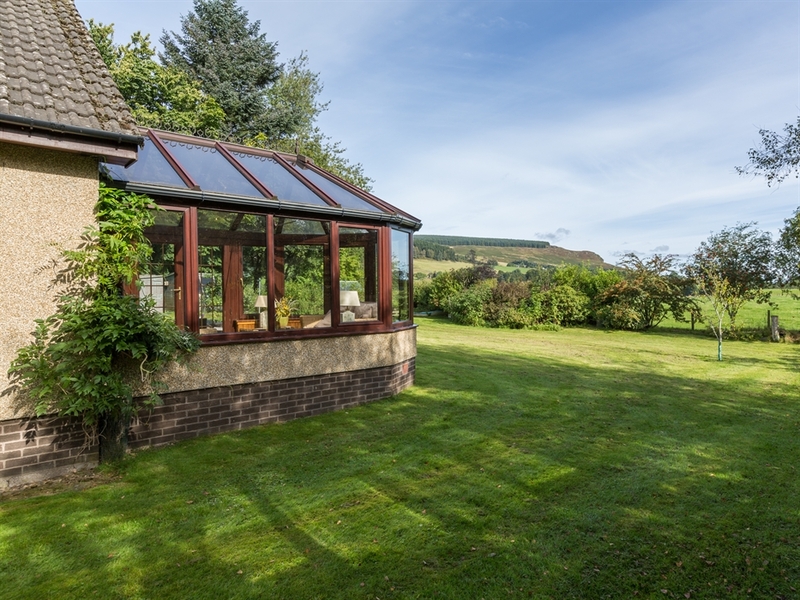 There is an attractive garden backing onto open fields, making sure you are immersed in the rural idyll that is this part of Perthshire. 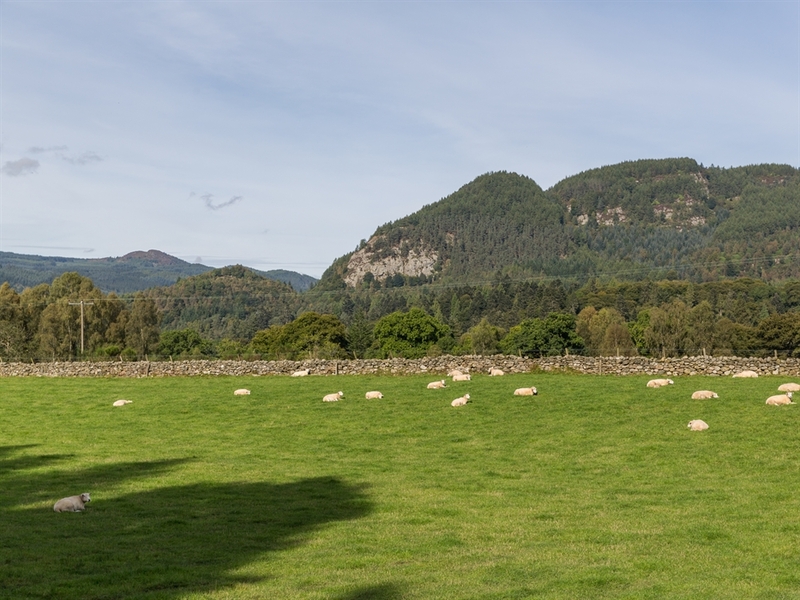 The nearest town is the ever popular Dunkeld with its National Trust buildings, charming shops and restaurants by the River Tay. 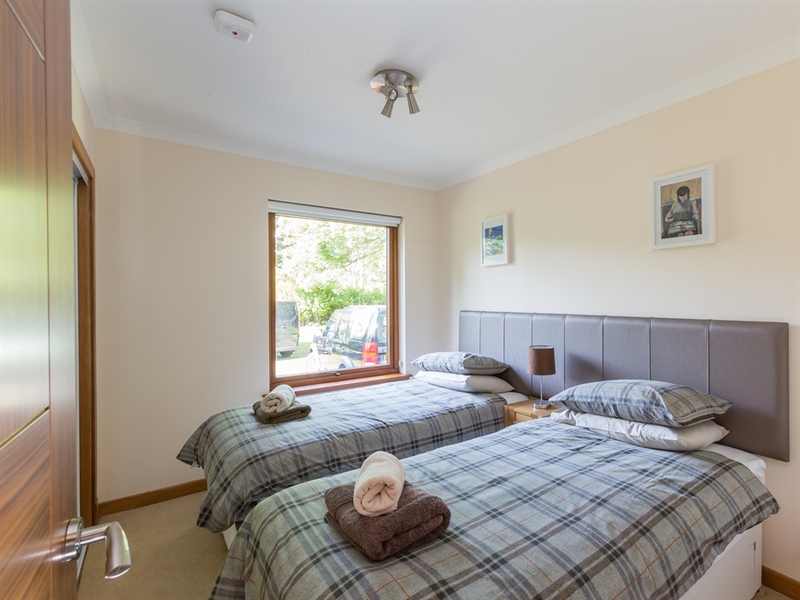 The ospreys nest at Loch of the Lowes above the town is well worth a visit in the right season. 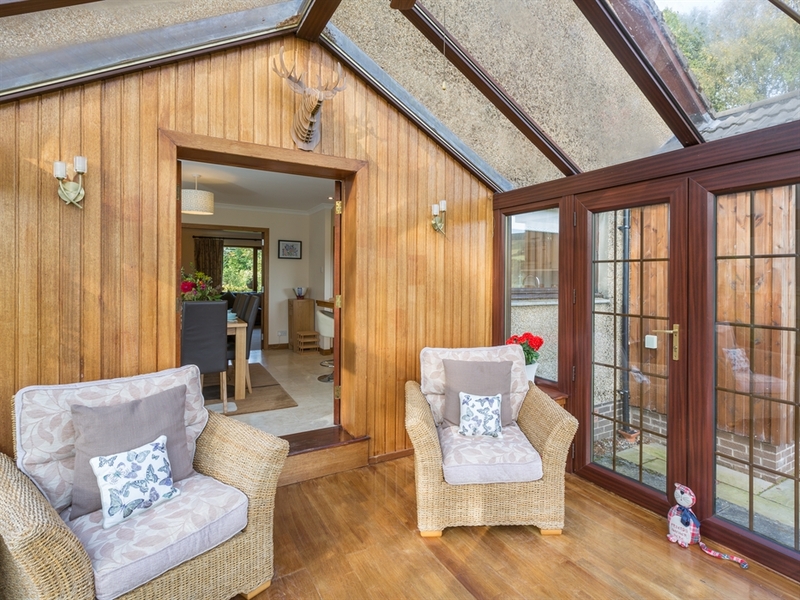 From here, you are perfectly placed to see both the west coast and the Cairngorms or even visit Edinburgh if you fancy a day in one of the world's greatest cities. 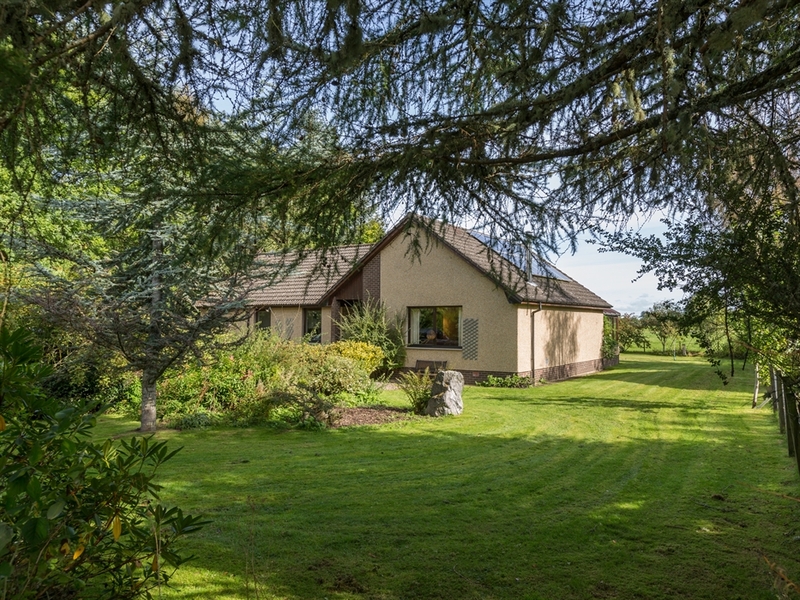 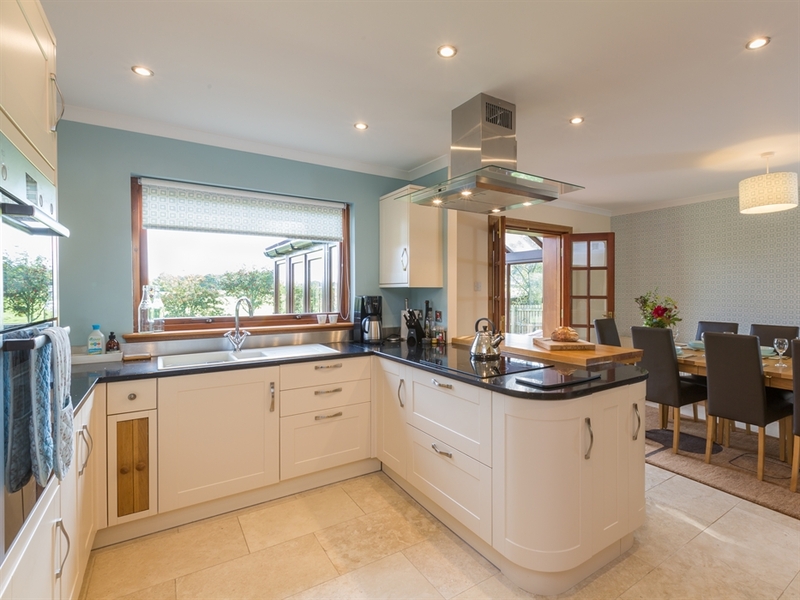 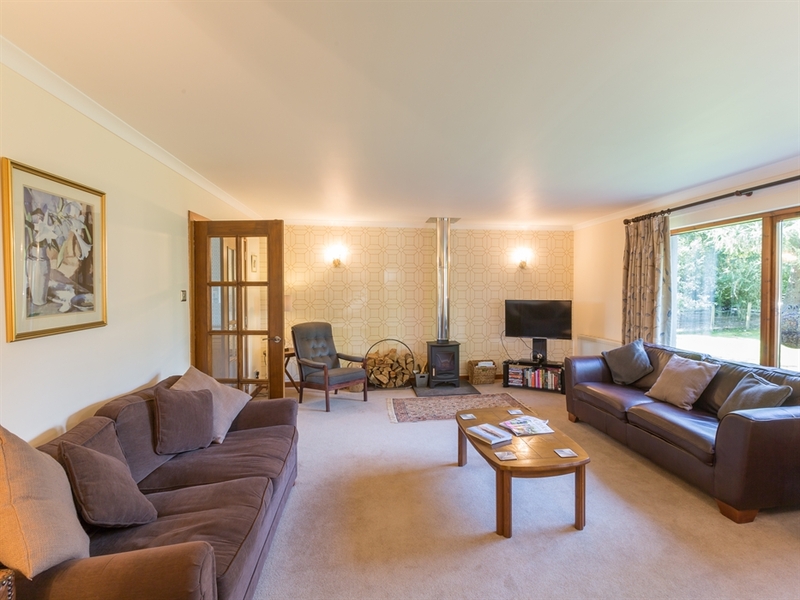 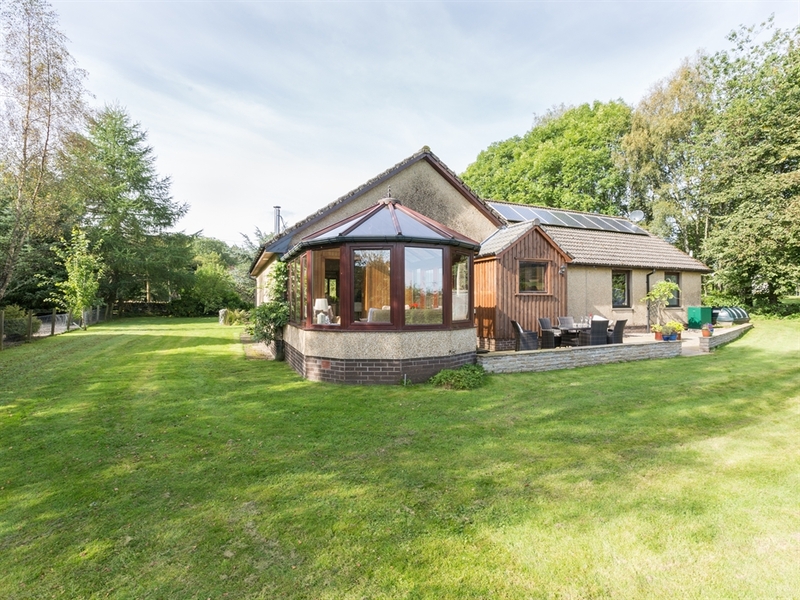 A really lovely holiday house in a delightful and hidden away part of Perthshire that you are sure to enjoy. 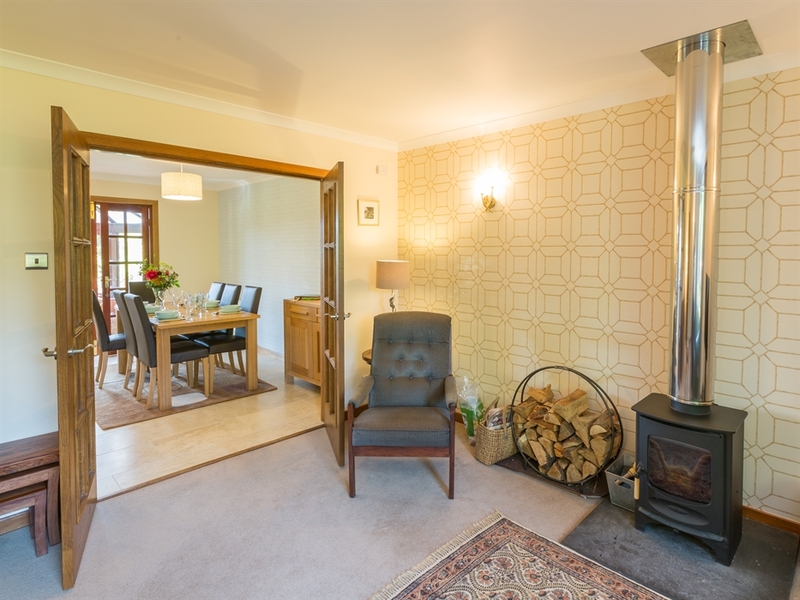 Lounge with log burner, modern open plan kitchen/dining room leading to conservatory, 1 twin/zip linked/king bedroom, 2 double bedrooms, one with en-suite shower room, WC & WHB;1 twin bedroom with en-suite shower, WC & WHB; bathroom with bath, hand held shower, corner shower, WC & WHB. 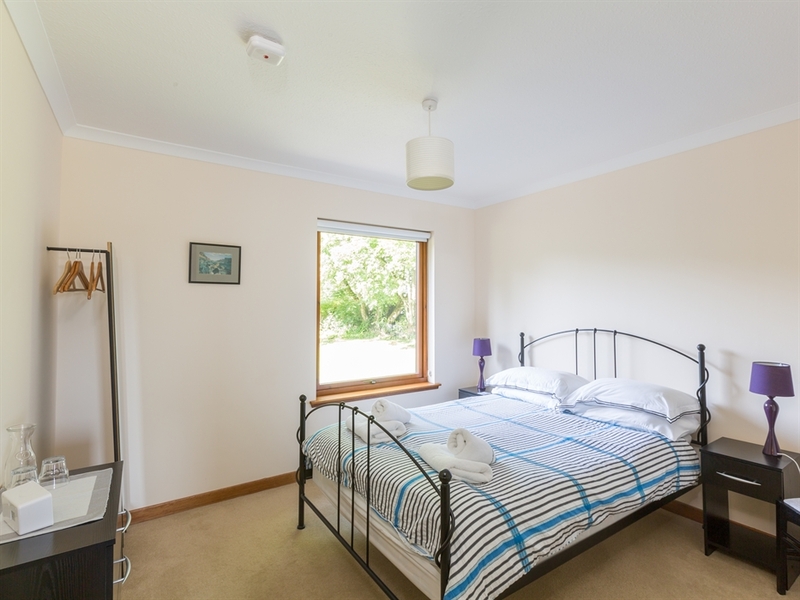 Honesty telephone. 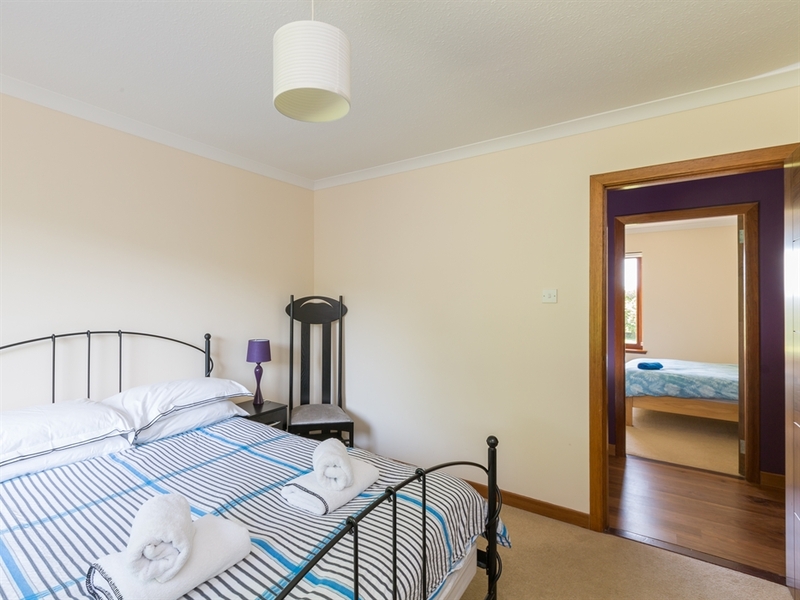 Please advise us when booking how you would like the beds made up.